Following a decent episode of Raw, Smackdown was absolutely fantastic this week. We saw a major upset, a brawl and an emotional ending to the show. I might be biased, but I think Smackdown puts on a much more consistently great product from week to week than Raw does. Let's take a look at some takeaways from this week's Smackdown. 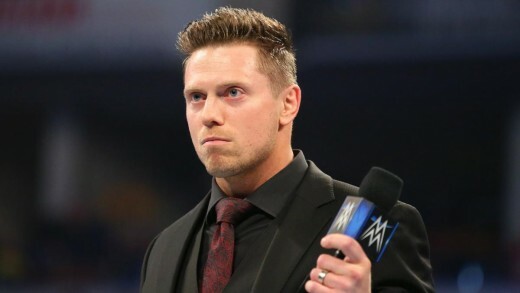 Not long ago, The Miz was the guy everyone loved to hate... now he's the guy everyone just loves. He cut a very emotional promo on Shane McMahon and how he was warned to watch his back, considering who he is. Every line seemed to stir more emotion from the A-Lister, and it showed why he's one of the very best on the mic. The Miz mentioned how Shane was born into privilege while he had to work for what he's earned. He said the only thing that Shane has earned is a beating from him at Wrestlemania. This was a great promo, and one that truly showcases how great The Miz really is on the mic. He delivered every line like he meant it, and I'm definitely excited to see their match. In an interview, Rey revealed that he will be challenging Samoa Joe at Wrestlemania for the U.S. title with his son Dominic at ringside. I'm pretty excited to see the two go one on one for the title. They can put on an excellent match together for sure. My main thought is they might add Andrade to make it a triple threat, and I'd approve of that. I just can't wait for the upcoming promos where Joe makes it extra personal, and brings Dominic more into the story. Joe is great at pushing the line like that. After calling out the Boss n' Hug Connection last week, The Iiconics finally got to prove themselves against the tag team champions in a non-title match. It was a terrific bout, as all four women went above and beyond to make the match stand out. In the end, The Iiconics cheated to get the win. This victory definitely means they will get a title shot. The only question is whether or not that will be at Wrestlemania or after. Which U.S. title match would you rather see? It was at the halfway point of the show when the main event got started. Kofi prepared to run the gauntlet against five imposing superstars. He started off against Sheamus, and was brutalized as a result. Despite the beating the Celtic Warrior gave him, Kingston managed to hit Trouble in Paradise for the win. Cesaro followed this up by picking up where his partner left off, including using the same Cloverleaf submission hold Sheamus used. When Cesaro went for the win, Kofi hit the SOS and got the pin. This match was followed by Rowan, who ended up getting himself intentionally disqualified by hitting Kingston with a chair. He then slammed the New Day member through the announce table. This left him broken for his next opponent, Samoa Joe. Joe pounded on him some more before eventually going for the Coquina Clutch, which Kingston escaped. Kofi got a roll up out of nowhere to score the upset! 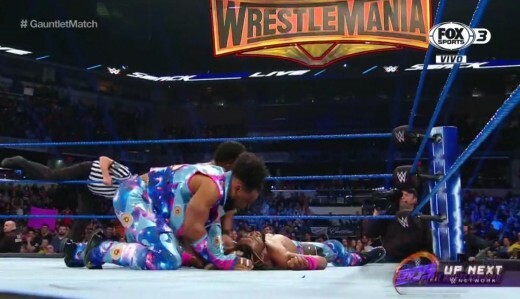 The U.S. champ didn't appreciate that, and locked in the Coquina Clutch and put Kofi to sleep for his final opponent. Randy Orton joined the fray, as he beat Kingston down with an obvious hint of cockiness. Kofi did manage to counter an RKO into Trouble in Paradise, but Orton rolled out of the ring immediately after. Orton later went for another RKO before Kingston turned it into a roll up for the shocking victory! 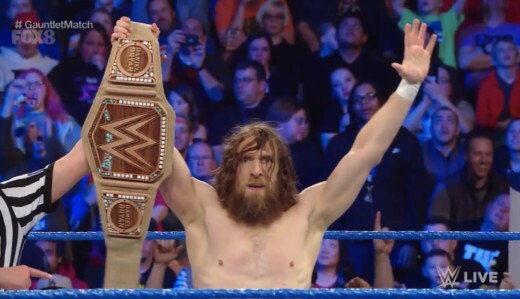 Vince McMahon however, came out and said Kofi will go to Wrestlemania if he can defeat his final opponent, WWE champion Daniel Bryan. Despite some fight in Kingston's tank, Bryan managed to hit the running knee, bringing his Wrestlemania dreams to a (temporary) end. This was a fantastic series of matches, and another great example of McMahon's heel character being used to put someone over. Kingston WILL get his Mania shot, it's only a matter of how he gets there. Those were my takeaways from an excellent episode of Smackdown. Let me know what you think, your thoughts on the Vince McMahon/New Day storyline, etc. Be sure to leave a comment and share this with your friends. Thank you for reading and have a wonderful day!